SOUTH Africa-based World Boxing Federation (WBF) All-Africa heavyweight champion Elvis Moyo has intensified preparations for his first fight in Europe set for May 25. Moyo, Zimbabwe’s top heavyweight boxer, will trade leather with 34-year-old Arnold Gjergjaj of Switzerland, who is ranked 58th in the world with 22 points, while the Bulawayo Bomber is ranked 70th with 19 points. He has drawn up an intensive training programme and hopes to upset Gjergjaj, who has 32 career wins. Gjergjaj has only lost twice against British legend David Haye and Sean Turner. “I’m fully concentrating on training knowing that the contract has been signed and the fight is now real. I’ve already started the Visa application process. I’ve been training and this week my focus is on cardio. I’ll step up my game next week and push harder as I start to do pad work. I’ll be doing more of pad work and sparring in the build-up to the fight,” said Moyo. The former Tshaka Youth Centre boxer, who is nursing a hand injury, said he had been undergoing “therapy” to get the hand back into shape. Moyo sustained the injury while defending his World Boxing Federation All-Africa heavyweight title against Kilola Lubika Didier of Congo in January 2018. “I’ve been getting lots of offers, mostly for Germany for fights in June and November. Remember I had an offer to fight Vladyslav Sirenko on April 27 in 10 rounds for a German EU title, which I turned down because I felt it was early considering that I was coming from a fight. I won’t take up the June fight because immediately after my return from Switzerland I’ll have to go for a hand operation, which will rule me out from action for three months. If the November offer will still be on the table, I will take it. But, my immediate aim is to beat Gjergjaj as I believe it will open more opportunities for overseas fights,” Moyo said. 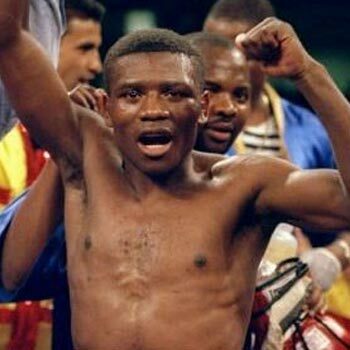 Moyo has roped in Cape Town-based Zimbabwean pugilist Felix Nkululeko Venganayi as his trainer for his European tour in May.